Ion Energy Ltd are pleased to announce that since September 2010 the company has become a UK Partner with Sonnen Systems a leading European Solar PV Bi-axial Tracker systems manufacturer. Sonnen www.sonnen-systeme.de/index.php are a German based company specialising in the design and manufacture of state-of-the art Bi-axial Solar PV tracker systems. These tracker systems use an astronomically based mathematical algorithem to precisely track the sun in direct relationship to the geographical location of the tracker installation. The realtive position of the sun at any time of the day at any time of the year is thus always precisely known. As a consequence of this tracking approach, the energy output of a Sonnen Bi-axial tracker installation can be as much as 30>35% higher than an equivalent static Solar PV installation! ION Energy Ltd are fully factory trained in the installation, commissioning, testing and maintenance of the Sonnen System Bi-axial tracker systems. 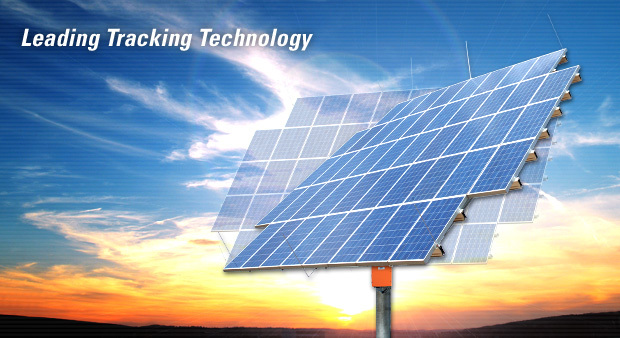 If you are searching for a state-of-the-art Solar PV tracker system that maximises system energy output and performance then contact us to discuss your needs.